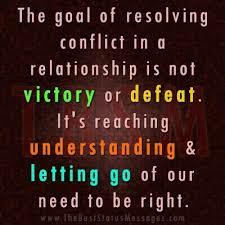 Conflict is inevitable when dealing with others – it can involve political issues, or simply be a spat over a small issue with your partner. When you find yourself butting heads with another, remember that you do not have to win the argument in the sense that you get your own way. With a positive attitude, you can find a way to compromise without demonizing the other person involved. You can agree to disagree. In this way we learn and grow, becoming the person we are meant to be. This entry was posted in happiness and tagged compassion, conflict resolution, conflicts, contented cat, contentment, divine message for the weekend, fights, grow, inspiration, inspirational, Inspirational Quotes, learn, letting go, positive attitude, relationships, spiritual, spiritual growth, understanding. Bookmark the permalink.